If you don't remember nothing else I tell you, baby, you remember this: if you got to dance or dream or anything at all, take it a step at a time and don't let nothing and nobody get in your way when you doing right. I ain't saying it's gonna be easy, but we all got a dance to do. You remember this, you hear? 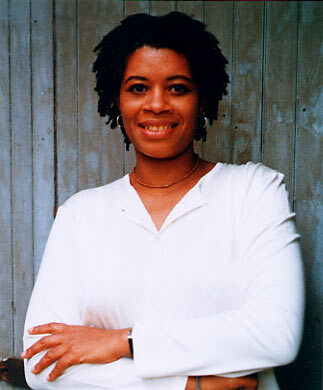 Shay Youngblood is best known for her three enthralling texts, The Big Mama Stories, Soul Kiss and her most recent novel, Black Girl in Paris. Youngblood was born in Columbus, Georgia. Youngblood has been fascinated with the written word since she first learned how to read. Her favorite reoccurring dream as a child was one in which she lived in a library. (aalbc website) As a young adult Youngblood attended Clark-Atlanta University from which she received a BA in Mass Communications in 1981. She went on to earn a MFA (Master of Fine Arts) in Creative Writing from Brown University in 1993. Youngblood is recognized as a poet, playwright, fiction writer, and has also written, produced and directed two short videos. She also won a Pushcart Prize for her short story, "Born With Religion." Other awards on Youngblood's impressive list include; the Lorraine Hansberry Playwriting Award, the Astaea Writes' Award and several NAACP Theater Awards. Along with being a writer, she has taught writing at the Syracuse Community Writer's Project, playwriting at the Rhode Island Adult Institution for Women and Brown University. She now resides in New York where she is now teaching creative writing at the New York School for Social Research.